The Office Administration Assistant is a six month term position and resumes can be submitted to the Saddle Lake Employment & Training Office. This position is to provide administrative support to post secondary staff and perform general secretarial duties such as data entry, greeting visitors, answering phone calls, handling and filing of incoming/outgoing correspondence and financial records. Handle routine inquiries regarding education from both general membership and students. 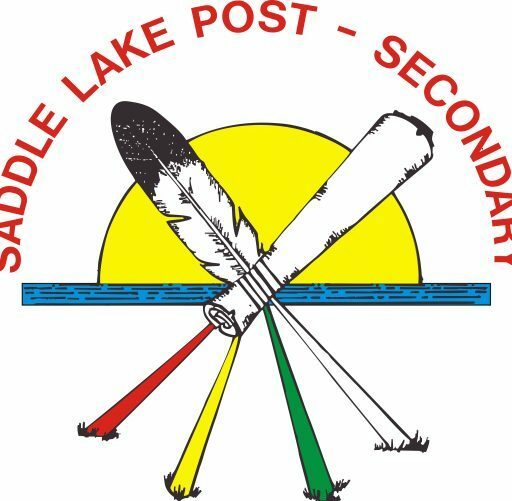 The Saddle Lake Post Secondary Staff, would like to wish all our Post Secondary Students, near and far, the very best in the coming weeks. We also want to say, good job to completing the Fall 2017 academic term successfully and pray that 2018 continues to bring you and your family good vibes. We know that some of you have had some challenges throughout the term and we are thankful that you were able to navigate through those challenges and are continuing to move forward in a good way. If you have any concerns or question regarding Tuition, Books, Supplies or PSA, please give us a call at the office or send us an email. You can also click on the following link to access our STUDENT POLICY HANDBOOK where you can find information about the services that we provide. On page 38, you can find our PSA distribution dates and on pages 10 – 13 you can find information on our Sponsorship Application Procedures. We the Saddle Lake Education Authority Staff would like to wish the Saddle Lake Membership and our Post Secondary Students a happy holiday season and all the best in 2018! For more information, please call Miss Toni YoungChief, Conference Coordinator at 780-645-6787. You can also visit the Iyiniw Education & Training Institute Inc to see more conference information, agenda and general information. The Student Association of MacEwan University (SAMU) has sent out an invitation to attend a naming ceremony of the East Atrium in the newest building, Allard Hall: to the Elder Jerry Wood Atrium. Jerry Wood was the Elder in Residence at MacEwan for close to 15 years and touched the lives of many. Please join the SAMU as they honor Jerry Wood and his many contributions through this naming ceremony. Come celebrate the late Jerry Wood with his family, the Student Association of MacEwan University, the kihêw waciston Indigenous Centre and the MacEwan University Community as they honor his memory and his contributions. at the Allard Hall – East Artium, 11110-104 Ave, Edm, AB. To register or for more information, please call the MacEwan University Conference Event Services at 780-633-3621 or email eventregistration@macewan.ca . On Tuesday, October 10th and Wednesday, October 11th, Bernadine Houle-Steinhauer, Director and myself will both be at the University nuhelot’ine thaiyots’i nistameyimakanak Blue Quills from 9:00 am to 3:00 pm on both days. On Friday, October 13th, I will be at the Portage College campus in St. Paul in the morning and then the Lac La Biche campus in the afternoon. Students are asked to check their emails for detailed information about locations and times at each institution.